Long shot of rose garden, originally uploaded by DianthusMoon. Brian, Sean and me took my mom back to the Scott Arboretum on the campus of Swarthmore College (Penna). to see their spectacular and magical Bond rose garden. 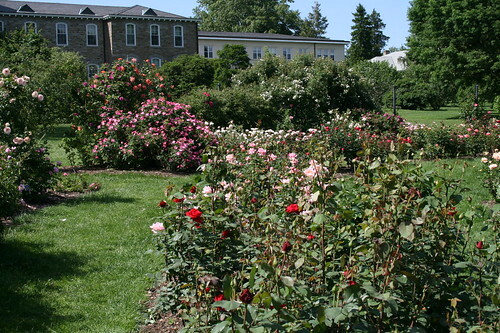 Yet by far the crowning jewel in this already impressive collection is the shockingly gorgeous Dean Bond Rose Garden. Housing 650 roses of more than 200 types, it was established in memorial of Elizabeth Powell Bond, the Dean of Women at Swarthmore. It’s now tradition for graduating seniors of the college to pin a rose on their gown for commencement. We’re going back in a few weeks to see them in further bloom! 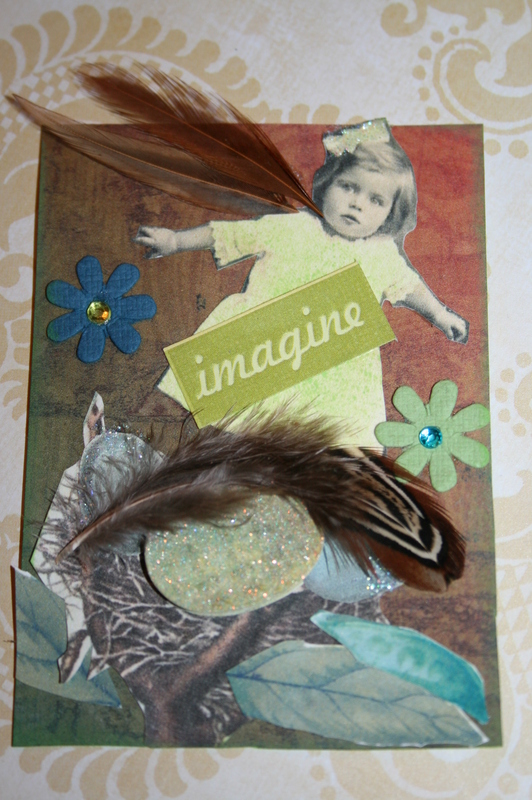 Here’s an Artist Trading card I made and had to keep, but I did make a similar one to send my swap partner. My Grandmom Ruth use to call babies ‘baby birds’ so this reminds me of her. That truly is a magical garden. Yellow roses are my favorite! love this garden. when it’s in full bloom, it’s magical indeed! That a lot of beautiful roses. I can imagine how perfumed the air must be. 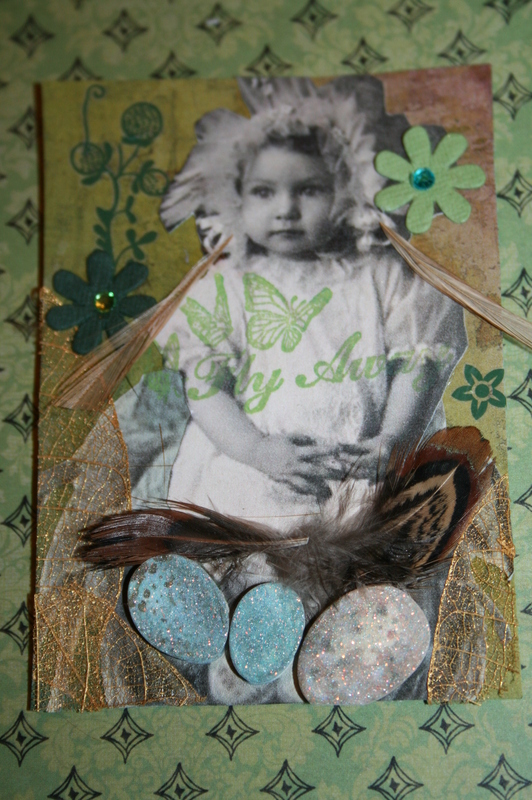 Love your baby bird trading cards.